This Classic Green bean casserole is spiced to give it a twist on one of the most popular foods for the holidays. 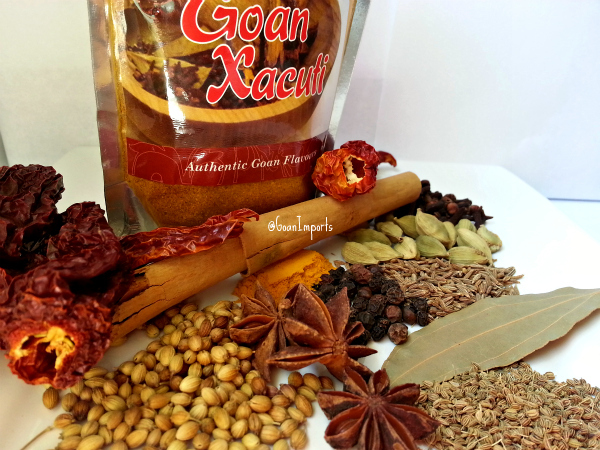 I decided to give it a “Goan” spin to this recipe. Clean and cut the green beans. Bring either chicken stock or water to a boil, then add the green beans and cook for 10 minutes. In a pan add the butter and saute the onions till translucent then add the xacuti spice, saute for a minute, season lightly with salt. Heat oven to 350F. 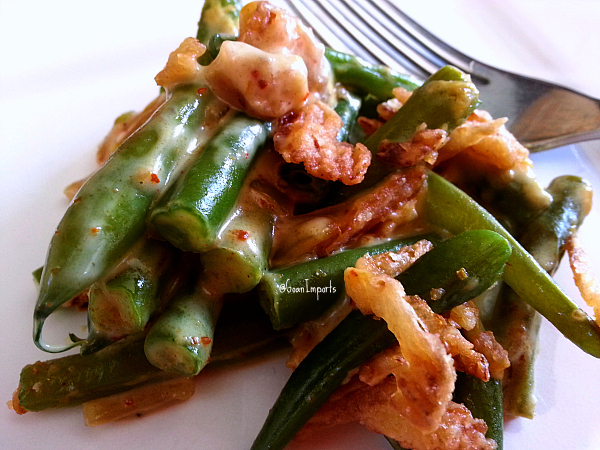 In a baking dish add the green beans, saute onion mixture, soup, milk, 1/2 cup of fried onion, mix well together. Bake the green beans for 20-25 minutes (depends on your oven). Then add the remaining fried onions on top and bakes for another 5-7 minutes or till it bubbles. 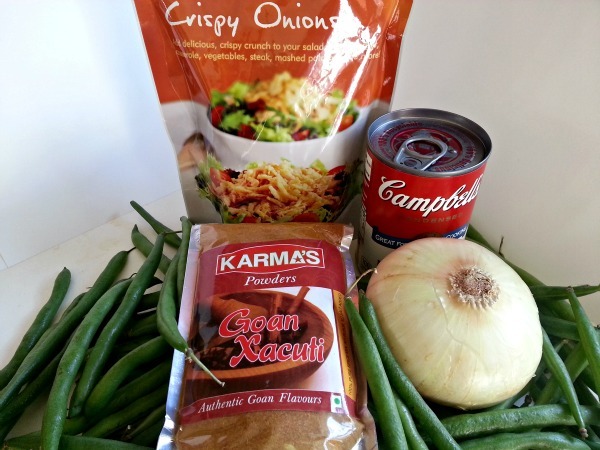 Since it usually hard for me to get my husband to eat bland foods, this recipe worked out really well and my vegetarians friends enjoyed it a lot for Thanksgiving. My son had me mix it with white rice for his dinner yesterday. 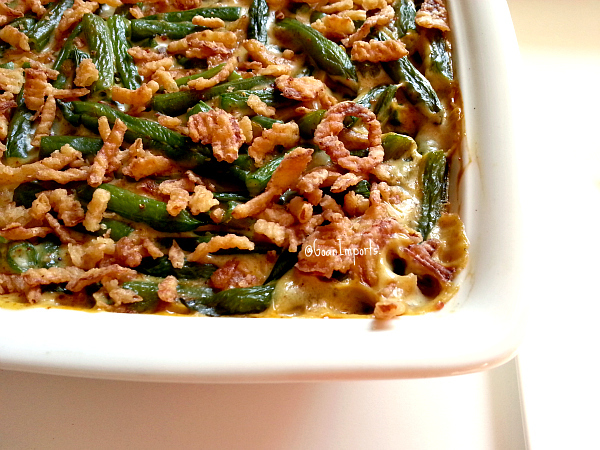 Guess this classic spiced green beans casserole recipe can be eaten in many ways. Hope you enjoy! On a side note, I cooked the green beans in chicken stock like Paula Deen suggested and the beans were tastier.